The weight loss industry and it’s coaches have projected the same message for years: “Eat less, workout more, and lose fat.” If this does not yield results, the unqualified weight loss Jedi master usually responds with “work harder.” Or, they proceed to vilify a nutrient and tell you to “cut out sugar, dairy, gluten, ext.” Yet, still no results. I am here to tell you that eating less, and exercising more, is NOT always the answer. Basic laws of thermodynamics in physics states that if a person consumes less kcals (energy) that it takes to maintain their body weight, in theory they should lose weight. In theory, this makes sense. However, your biochemistry does not care about theory…..
You know what I have learned from coaching thousands of individuals for almost 10 years…Theory and application are a dichotomy. Decreased basal metabolic rate (BMR). This is the amount of calories it takes to sustain your body and all of it’s cellular processes if you were to lay in bed and just breathe all day. Decrease in non-exercise activity thermogenesis (NEAT). This is the amount of calories you use when you think, twitch, scratch your head, ext. Decrease in important metabolic hormones such as thyroid (the driver of metabolism), leptin (a powerful fat burner), and testosterone (you know this one). So, to make things very simple, your body becomes less efficient at burning fat the longer that you diet. You may be wondering why does your body hate you and not want you to fit into your skinny jeans? Well, we are built for survival. Not to be lean and muscular. Ask yourself this: Who would survive longer in pre-historic times? The caveman who had a six-pack? Or, the caveman who had adequate adiposity (body fat) levels in times of prolonged starvation? Adipose tissue or body fat is a stored form of survival currency. Your body does not care about you having abs, or fitting into that size 2 dress. It cares about surviving at all cost. The more body fat you have, the more the body feels “safe” and that it can survive in times of crisis. The FDA poisoning your food. If anyone tells you otherwise, please run away. Far, far away from them…. 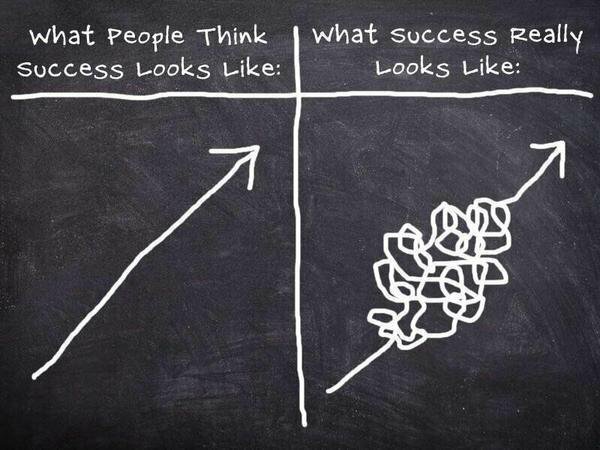 Weight loss is not linear. Your body adpats over time to any protocol or routine. If you are eating 500kcals per day (I have had clients come to me at this point before), exercising an hour or more per day, and not seeing results, what else can you change? Eat 300 kcals per day? Do the same thing and expect magic to happen? No, you need to do a proper reverse or recovery diet. Lose 100 lbs By Eating More? John came to me frustrated with lack of results from eating LESS than 1000 kcals per day and exercising OVER 2-3 hours daily. Can you imagine putting yourself through that routine? John was perplexed because every website and “weight loss coach” out there was telling him the same message: “eat less and do more.” John was in so much pain he could barely get out of bed in the morning. He had to give up his job at the time because the pain was unbearable. Well, John could not eat any less, and could not work out any more, yet he was not seeing results. Fortunately John contacted me and we were able to get him on the right track. I put John through a recovery diet followed by a proper weight loss protocol. 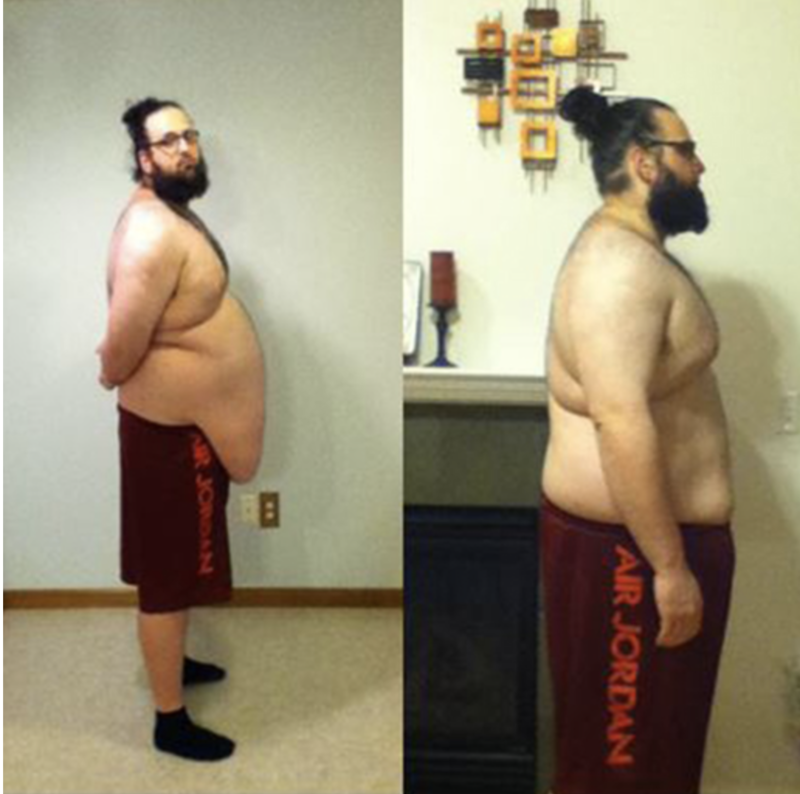 The result was he was able to lose over 100lbs. He was eating more, and doing less and was able to go back to work pain-free. This is science. This truly works. Each person I do this with has individual metrics set for them depending on where they are starting. The goal of a recovery diet is to increase your metabolic efficiency (or how efficient your body is at burning fat), and to mitigate and reverse the adaptations previously mentioned. We accomplish this by increasing your intake, and decreasing your expenditure SLOWLY over time to improve your internal chemistry. OK, this is me! What should I do now? The process of a recovery diet is highly individualized and can be very complex. I always suggest getting private coaching so we can maximize your results and cut down on wasted time. It is impossible in the context of this post to give a one-size fits all answer. However, I will give some basic recommendations on what you can do if you are in this situation. 1. Mentally accept that you need to take a break from dieting. You can’t separate physiology from psychology. This is as much a mental challenge as a physical one. Would you train at maximal intensely year round and expect amazing results? No, you know your body needs a break and recovery time. Well, the same thing applies to your metabolism! You can’t be in a very low calorie deficit year round and expect to continuously lose weight . 2. Take it slow. Some gurus say you if you are under eating that you need to make a large jump in calories over night. Please don’t do that. Only do this if you are OK with putting on body fat very rapidly. There is a term called rebound adiposity. When your metabolism has slowed, a large bolus increase in calories most likely will mean a rapid increase in body fat as well. A slow and consistent reverse diet is best to minimize fat gains. How slow? A good standard is to start by doing a 20-25% increase off of baseline calories, followed by increasing 10/2 grams of carbs/fats per week. Again, these are just broad statements as I individually assess each client and prescribe a tailored nutrition plan to their needs. Slowly increase each week depending on their scale weight and how they look and feel. 3. Know that weight loss is not the goal right now. Have I had some clients lose weight initially with a reverse diet? Yes, but the goal is to get your metabolism so efficient at burning fat that when it comes time to diet again, you can lose the amount of body fat you want without very low calorie dieting and excessive cardio. My goal is always to feed my client the most amount of food possible, while doing the least amount of cardio to help them lose weight and achieve their goals. Why? Because sustainability is the name of the game. If this is you and you need help now I want you to go fill out my application for coaching. You are not alone or helpless in this situation!